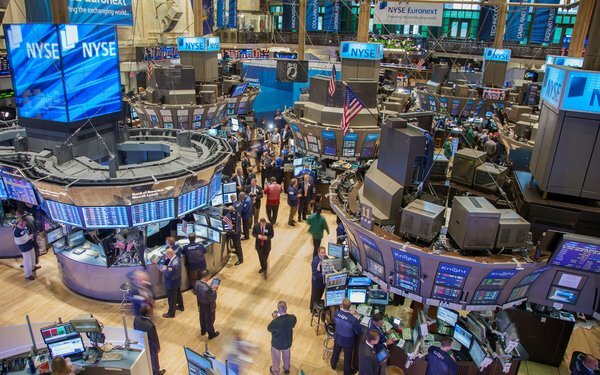 After an off day on Wednesday, due to former President Bush’s funeral, media stocks took another beating -- along with other U.S. stock market companies, sinking anywhere from 2% to 3.5% in early Thursday morning trading. Global economic slowdown and possible consequences from tariffs are blamed as the reasons. The Dow Jones Industrials were down around 500 points, at one point off 2% to 24,577. It closed down on Tuesday by 800 points. While the big media technology stocks led the way in the declines, a wide range of traditional media stock were also hammered. AT&T (which has its WarnerMedia and DirectTV businesses) was down 2.6% to $29.95; Viacom sank 2% to $30.28; and Sinclair Broadcast Group was off 1.3% to $30.50, while Dish Network was off 1.5% to $31.47. The FAANG stocks -- big media technology companies -- were also hurting in a big way, with Facebook down 2.3% to $134.73; Apple off 3% to $171.38; Amazon losing 2.4% to $1,628.38; and Netflix giving back 1.7% to $270.57. Google (Alphabet) posted somewhat better results, giving up 0.9% $1,040.52. Among traditional media companies, Walt Disney sank 0.5% $112.33; Nexstar Media Group was down 0.9% to $84.40 Comcast lost 0.5% to $37.50; Charter Communications lost 0.9% to $37.34; Tegna was down 0.3% to $12.70; and CBS was off 0.9% to $50.85. Rising on the day early on were 21st Century Fox, inching up 0.06% to $49.15; Tribune Media, adding 0.04% to $44.83; and Discovery, up 0.9% to $28.22.